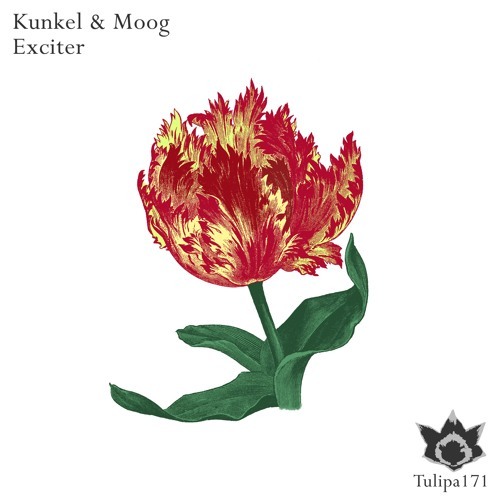 Kunkel & Moog spearhead a dynamic flowerbomb for the gardens. Three tracks consisting of liquid radioactivity comprise this enigmatic and effusive release. Patrick Kunkel and Mario Moog have been around for a long time and it shows in the precision and ingenuity found within the individual structures of Exciter, Expression, and Nightwaves. The tracks fall somewhere on the spectrum between techno and hypnotica, and each maintains the driving, groovy, and trippy flavors that are so familiar within the boundaries of the Tulipa realm. Space and an easy methodology. Fortune canister. A squandered dream made to prove something sweet. The fried soliloquy. Fame broken. Book that was lost in the last aisle. Stamp for hostage. Dance feuds on the spiral staircase. A daylight wave. Tiffany lamp became the center of commerce. Warm acres. Dissolving cashew flow. You always loved to spy the silliest eye. The young practical. To the bottom of the chest. Flickering shield. Plantain became brittle. Chopping fourteen dates into an array of curved shapes.